Little Buddhas Yoga is a unique studio encouraging families to flow together both on and off their mats! Our Boutique atmosphere provides small classes. ONLY studio that offers simultaneous classes or a class to move together. Living a healthy life starts when we are young and stays with us throughout our lives! We all need to move to create healthy minds and bodies! That is what we have created & we offer something for everyone! A Family Yoga Practice is a unique style bringing parents and children together. Family Yoga is designed for children ages 6 and up (but not limited to this age, we are open to try our younger child in class and see how you flow and move together!) to practice with their parents or caregivers. Sequences are taught in a Vinyasa flow style, acro yoga is introduced in class, as well as concentrated focus on breathing while learning various breathing techniques. Mindfulness meditation is introduced for the entire family to experience awareness and the idea of staying present. Families can build unique bonds together as well as strong bodies and minds together while learning discipline and concentration. Come experience a class that's one of its kind! Little Buddhas Yoga offers these unique and life changing classes several times a week to begin to share your practice together, classes offered periodically in our Garden Studio weahter permitting. Want to learn to tumble with your child? Then come to our ONE OF KIND Family Gymnastics Class! All the same moves your child learns in a gymnastics setting is what you'll get while bonding with your child through movement! Class consists of warm-up, increasing flexibility through proper stretching, introduction to basic tumbling; rolls, handstands, cartwheels, backbends, etc., & teaching safe progression of all tumbling skills. Class ends with conditioning, games and partnering activities! This is the perfect fit for anyone wanting to improve their handstands, bridges and strength to compliment their normal Yoga practice or Fitness workouts. I PROMISE you will leave feeling empowered, stronger, & a desire to play more with your child! Family Gymnastics offered Monday & Thursdays 4:00pm. Are you ready to party yourself into shape? That’s exactly what the Zumba® program is all about. It’s an exhilarating, elective, easy-to-follow, Latin-inspired, calorie-burning dance ﬁtness-party™ that’s moving millions of people toward joy and health. 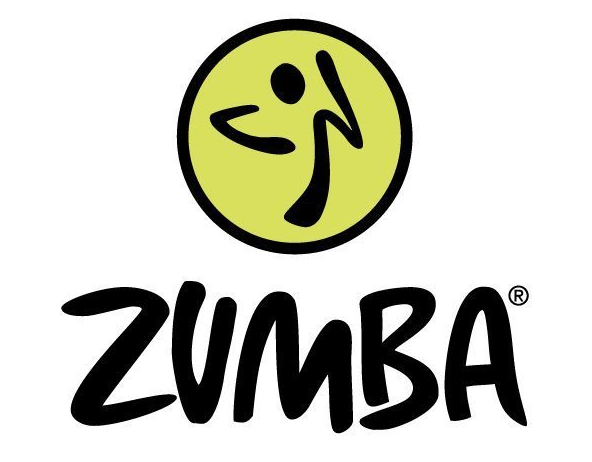 The Latin-inspired Zumba Fitness® program, blending red-hot international music created by Grammy Award-winning producers with contagiously rhythmic movement, is a ﬁtness ﬁesta that is downright addictive. Little Buddhas Yoga's unique FAMILY ZUMBA® gets the whole family moving!!! FAMILY ZUMBA® offered Fridays 6:00pm.